The purpose of this study was to evaluate clinical outcomes and drug/administration costs of treatment with tumor necrosis factor inhibitor (TNFi) agents in US veterans with rheumatoid arthritis (RA) initiating TNFi therapy. The analysis compared patients initiating and continuing a single TNFi with patients who subsequently switched to a different TNFi. Data from patients enrolled in the Veterans Affairs Rheumatoid Arthritis (VARA) registry who initiated treatment with adalimumab, etanercept, or infliximab from 2003 to 2010 were analyzed. Outcomes included duration of therapy, Disease Activity Score based on 28 joints (DAS28), and direct drug and drug administration costs. Of 563 eligible patients, 262 initiated a single TNFi therapy, 142 restarted their initial TNFi after a ≥90-day gap in treatment (interrupted therapy), and 159 switched to a different TNFi. Patients who switched had higher mean DAS28 before starting TNFi therapy than patients with single or interrupted therapy: 5.3 vs 4.5 or 4.6, respectively. Mean duration of the first course was 34.3 months for single therapy, 18.3 months for interrupted therapy, and 17.7 months for switched therapy. Mean post-treatment DAS28 was highest for patients who switched TNFi. Mean annualized costs for first course were $13,800 for single therapy, $13,200 for interrupted therapy, and $14,200 for switched therapy; mean annualized costs for second course were $12,800 for interrupted therapy and $15,100 for switched therapy. Patients who switched TNFi had higher pre-treatment DAS28 and higher overall costs than patients who received the same TNFi as either single or interrupted therapy. This research was funded by Immunex Corp., a fully owned subsidiary of Amgen Inc., and by VA HSR&D Grant SHP 08-172. To view enhanced content for this article go to http://www.medengine.com/Redeem/9ED4F0604E25CD16. Tumor necrosis factor inhibitors (TNFi) are effective therapies for controlling the signs and symptoms and reducing progression of erosive disease in many patients with moderate-to-severe rheumatoid arthritis (RA) [1, 2]. The most commonly used TNFi agents approved by the US Food and Drug Administration for the treatment of moderate-to-severe RA are adalimumab, etanercept, and infliximab [3, 4, 5]. Adalimumab and etanercept are self-administered injectable agents and infliximab is administered intravenously (IV) [6, 7, 8]. Clinicians frequently switch treatment to a second TNFi agent when patients do not achieve an adequate response [9, 10, 11], lose their initial response , or experience adverse events with their first course of a TNFi agent [13, 14]. The use of TNFi agents for the treatment of RA is associated with significant costs, estimated to be between $14,000 and $22,000 annually [4, 5], especially for patients who require dose escalation to achieve or maintain a clinical response, which entails 2–44% higher costs compared with non-dose escalating patients [15, 16, 17]. Additionally, RA is a chronic disease for which treatment-free remission is rare and thus requires long-term therapy, adding to the lifetime cost of treatment. Evaluation of treatment patterns and associated costs is important for clinicians to make informed treatment decisions and for payers to manage costs; this evaluation is also important specifically among US veterans with RA because such an assessment has never been conducted in this population. Therefore, we evaluated clinical outcomes and associated costs in US veterans with RA enrolled in the Veterans Affairs Rheumatoid Arthritis (VARA) registry who initiated TNFi therapy after VA enrollment. This analysis compared disease activity and drug costs in patients treated with TNFi agents as a class, rather than comparing specific agents. The comparison determined differences between patients who were persistent on a single TNFi agent and patients who interrupted therapy with a single TNFi agent or switched to a different TNFi agent. Patients were specifically evaluated on duration of treatment, clinical response, rate of switching, and drug costs associated with the initial TNFi treatment episode as well as subsequent treatment episodes within the VA health care system. This retrospective, observational study was based on data obtained from US veterans with RA who were enrolled in the VARA registry. The VARA registry is an ongoing, longitudinal, multicenter registry that included patients from 12 VA medical centers (Birmingham, Alabama, USA; Brooklyn, New York, USA; Dallas, Texas, USA; Denver, Colorado, USA; Jackson, Mississippi, USA; Iowa City, Iowa, USA; Little Rock, Arkansas, USA; Omaha, Nebraska, USA; Portland, Oregon, USA; Philadelphia, Pennsylvania, USA; Salt Lake City, Utah, USA; and Washington, DC, USA). The VARA registry has been described previously [18, 19]. This study was approved by the University of Utah Institutional Review Board, the VA Research Service, and the Scientific and Ethical Advisory Board of the VARA registry for analysis of VARA and VA administrative data and was in compliance with the Helsinki Declaration for Ethical Principles for Medical Research Involving Human Subjects of 1964, as revised in 2013. All patients provided written consent upon enrollment in the VARA registry. All patients met the rheumatologist-confirmed diagnosis of RA according to the 1987 American College of Rheumatology criteria . Patients were eligible to be included in the analysis if they had enrolled in the VARA registry before September 30, 2011, and their first TNFi therapy was initiated between March 17, 2003 (the date after which all three TNFi agents were available within the VA), and September 30, 2010, which allowed the potential for at least 1 year of observation, ending on September 30, 2011. To increase the likelihood of evaluating only patients initiating TNFi therapy within the VA, patients were required to have at least 6 months of treatment in the VA before their first TNFi prescription. Patients were excluded from the study if they had any TNFi exposure within the VA before March 17, 2003. Information on therapy prior to clinical care at the VA was not available. Three administrative VA databases  were used in the analysis, including the Corporate Data Warehouse (CDW) , Decision Support System (DSS) National Pharmacy Extract , and Pharmacy Benefits Management (PBM) database . Descriptions of these databases have been previously presented . The Veterans Health Administration structured pharmacy data do not completely capture the dispensing of outpatient drug infusion data. Furthermore, the barcode medication administration data only capture medications administered to inpatients. Therefore, we conducted a chart review of VA electronic medical records over the study period to determine administration of infliximab through nurse infusion notes. Because some inconsistencies in the outpatient pharmacy dispensing data were observed for adalimumab and etanercept, we developed an algorithm that integrated information from the three databases (CDW, DSS, and PBM) and defined each treatment episode for each patient. The algorithm reconciled differences between databases by using information from all data sources as well as comparing treatment patterns before and after the discrepancies to estimate correct dosing . For patients with evidence of any infliximab infusion from CDW (outpatient pharmacy, inpatient unit dose, or IV package), DSS, or PBM, a complete individual patient medical record review was completed by trained chart abstractors over the study period to characterize infliximab administration events during the study period. Each dispensing or administration event of a TNFi agent was used along with information on quantity dispensed and days supply to construct individual treatment episodes. The expected supply (in days) was determined based on dosing instructions and the number of syringes or vials that had been dispensed for injectable agents. For infliximab, each administration event was determined by chart abstraction as noted above. Our focus was limited to the first two drug courses with TNFi agents during the study period. A drug course was defined as a period of continuous TNFi treatment consisting of one or more treatment episodes without a gap of 90 or more days between the expected end of that episode based on days supply and the start of the subsequent treatment episode. Duration of treatment course was defined as the time from the date of first treatment until the date of the expected end of the last dispensing episode for the injectable TNFi agents or 8 weeks after the last infusion (based on the longest recommended dosing interval in the prescribing information) for infliximab, for each course of therapy. For those patients who were naïve to prior biologic therapy at the VA, duration of treatment was calculated for the first and second course of therapy. Patients with single therapy had only a first course of treatment, while patients with interrupted and switched therapy had both first and second courses of treatment (Fig. 1). Patients who initiated a non-biologic TNFi agent were classified as having a TNFi discontinuation. Subsequent courses were not evaluated, thus each patient was classified as having either single (continuous), interrupted, or switched therapy. Patients began their second course of treatment after a gap in treatment of 90 or more days (interrupted therapy) or initiation of a second TNFi agent (switched therapy). Disease activity was assessed by the Disease Activity Score based on 28 joints (DAS28) , using erythrocyte sedimentation rate as the laboratory measure of inflammation. DAS28 before starting TNFi therapy was defined as the mean of all DAS28 values from VARA enrollment until 30 days after TNFi therapy start date, with most of these values measured within the first 5 days of initiating therapy. Post-treatment DAS28 was the mean of all DAS28 values beginning 90 days after TNFi therapy start date to allow time for the medication to take effect. Changes in DAS28 represent the difference between mean DAS28 before TNFi therapy and mean DAS28 after TNFi therapy for patients with values at both time points. Drug costs and associated administration costs were calculated using VA PBM prices, including a Blanket Purchase Agreement price for adalimumab and a Big 4 price—which is only available to VA, Department of Defense, Public Health Service (Indian Health Service), and US Coast Guard customers —for etanercept and infliximab . To approximate the most current drug costs, the January 1, 2013, to February 28, 2014, Federal Supply Schedule pricing was used to calculate adalimumab costs ($506.78 for 40 mg syringes); September 30, 2012, to September 29, 2017, pricing was used to calculate etanercept costs ($139.54 for 25 mg syringes and $279.08 for 50 mg syringes); and January 1, 2013, to February 29, 2016, pricing was used to calculate infliximab costs ($456.81 per 100 mg vial). The administrative cost for each treatment episode of etanercept and adalimumab was $25 (VA dispensing costs) and for each IV episode of infliximab was $169.09 (VA infusion costs). Total drug costs were the sum of the direct drug costs and the drug administration costs and are reported as the annualized cost of treatment by dividing the cost of the treatment course by the duration of the treatment course. Costs were calculated for the first course of TNFi treatment. Subsequent costs were then evaluated according to the initial drug assignment and calculated on an annualized basis. Second-course costs were based on the TNFi assignment for the agent that was selected for the second course of treatment. Continuous data are presented as means and 95% confidence intervals (CIs), and dichotomous data are presented as proportions and 95% CIs. The focus on CIs instead of P values provides evidence for the stability of estimates along with statistical significance testing—when the CIs do not overlap between two groups then the P values are <0.05 and considered significantly different [27, 28]. The data analysis for this paper was generated using SAS software version 9.2 (SAS Institute Inc., Cary, NC, USA). Of 1767 patients in the VARA registry at the time of analysis, 563 fulfilled the eligibility criteria to be included in this analysis, including 204 who initiated adalimumab, 290 who initiated etanercept, and 69 who initiated infliximab for their first course of TNFi treatment. The selection of these patients as part of an analysis of persistence and dose escalation was previously described . Of these, 262 patients remained on their initial TNFi agent during the entire observation period (single therapy), 142 had a gap of 90 or more days in therapy and started a second course on their initial TNFi (interrupted therapy), and 159 started a second course with a different TNFi (switched therapy) (Fig. 1). The study population was predominantly male and white (Table 1). Baseline demographic and clinical characteristics were similar among patients with single therapy, interrupted therapy, and switched therapy. The initial TNFi agents selected are listed in Table 1. The mean duration of single therapy was 34.3 months, which was similar to the combined mean duration of the first and second course of treatment for patients with interrupted therapy (34.1 months) and switched therapy (35.5 months) (Table 2). Based on nonoverlapping CIs, the 34.3 months of first-course single therapy was significantly longer than the 18.3 and 17.7 months for the first courses for patients who had interrupted therapy and switched therapy, respectively (Table 2). The mean duration of the second course of treatment for patients who restarted their initial TNFi was 15.8 months, which was similar to the 17.8 months of the second course of treatment for patients who switched to a different TNFi. During the observation period before initiation of the first TNFi treatment course, the average number of DAS28 measurements and their associated 95% CIs were 2.1 (1.7–2.5), 4.3 (3.6–4.8), and 3.2 (2.7–3.6) for patients on single, interrupted, and switched therapy, respectively. During the first course of therapy, the average number (95% CI) of DAS28 measurements was 3.8 (3.3–4.3), 2.8 (2.4–3.1), and 3.6 (3.0–4.1) in the single, interrupted, and switched therapy groups, respectively. During the second course of therapy, average number (95% CI) of DAS28 measurements was 2.8 (2.4–3.1) and 3.6 (3.0–4.1) in the interrupted and switched therapy groups. In all groups, post-treatment DAS28 was significantly lower than DAS28 before starting TNFi therapy (Table 3). Patients who switched to a different TNFi for their second course of treatment had higher mean DAS28 before initiating TNFi therapy compared with patients who received single therapy or interrupted therapy: patients who remained on a single TNFi agent whether they underwent single or interrupted therapy had a pretreatment DAS28 score of 4.53 or 4.56, respectively, while those who switched had a pretreatment DAS28 score of 5.3 (Fig. 2). The change in DAS28 from pre- to post-treatment was similar among patients who remained on their initial TNFi, restarted their initial TNFi, and switched TNFi (Fig. 2; Table 3). Consequently, patients with switched therapy had higher post-treatment DAS28 than patients with single therapy and interrupted therapy (Fig. 2). Responders and non-responders were included in the analysis, which reduced the mean improvement in DAS28 (Table 3). Mean annualized costs for drug and drug administration for the first course of treatment were similar among patients who remained on their initial TNFi, patients who restarted their initial TNFi, and patients who switched TNFi (Table 4). Mean annualized costs for the second course of treatment were highest for patients who switched to a different TNFi. One goal of this study was to assess clinical outcomes, duration of treatment, and costs of treatment associated with TNFi agents as a class rather than specific agents. Such an analysis enabled comparison between patients who were persistent on a single TNFi agent and patients who interrupted therapy with a single TNFi agent or switched to a different TNFi agent. Our findings show that all patients had a similar degree of improvement in disease activity as measured by DAS28 scores whether they were persistent on a single TNFi agent with and without an interruption of therapy or switched TNFi agents. DAS28 data indicate that the change in post-treatment disease activity did not differ significantly among all groups analyzed—single therapy, interrupted therapy, and switched therapy. Patients did differ with regard to DAS28 scores before starting TNFi therapy, which were higher in patients who eventually switched therapy than in patients with single therapy or interrupted therapy. The absolute disease severity level was higher in patients who switched TNFi agents. These data suggest that patients with a higher initial disease activity are more likely to switch to a second TNFi agent than patients with a lower initial disease activity. Prior reports describing changes in TNFi therapy have focused on switching between TNFi agents and have not considered interrupted therapy. Bonafede et al. 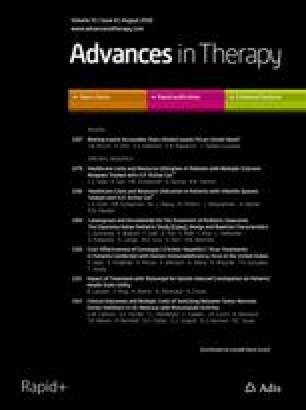 reported rates of 12–25% for interrupted therapy with a single TNFi agent during the first year of TNFi therapy based on a 45-day gap in treatment , which was similar to the 25% rate of interruption in our patients based on a 90-day gap in treatment; however, their switching rate was 13%, which was lower than our observed switching rate of 28%. Scrivo et al. reported a 10% switching rate  over a span of 3–47 months, Hyrich et al. and Zhang et al. both observed a 13% switching rate [11, 30] over a mean of 15 months, and Virkki et al. found a 37% switching rate  over a mean of 28 months. Schabert et al. reported a low switching rate of 9–11% in the first year of treatment . Comparison of our results with those of other groups who have reported significant clinical improvement in disease severity when switching TNFi agents is challenging because of the differences in methodology and clinical settings for these studies. Many of these comparative studies do not have baseline disease activity assessment during the first TNFi course. Instead, these analyses compare the response during the second course of TNFi treatment to a clinical course during the first course of TNFi treatment [13, 31, 32]. Others have reported similar responses with a first and second TNFi agent with increases in disease activity in between courses . In some cases, high persistence rates (71–74%) on second TNFi agents are reported, but without disease severity measures . A separate report of US veterans switching biologics demonstrated that veterans who switched had a higher DAS28 score before TNFi therapy than veterans who did not switch . Virkki et al. and Scrivo et al. emphasized the benefit of switching TNFi agents when a secondary loss of efficacy was seen [12, 29]. In our analysis, the change in clinical response with the second TNFi agent from initial baseline was similar to the response with the initial TNFi agent. The disease activity during the first and second courses was similar. This observation may have represented clinical benefit until the secondary loss of efficacy occurred. There is speculation that the development of anti-TNFi antibodies may play a potential role in these cases with secondary loss of efficacy . Another goal of our analysis was to compare costs of TNFi therapy within a drug class between patients who used a single TNFi agent and patients who switched TNFi agents. This work demonstrates that, while the annualized drug costs of the first course of treatment for patients who switched TNFi therapy were slightly higher than the costs of the first course of treatment in patients who remained on a single TNFi agent, these cost differences were not statistically significant. The annualized costs for patients with interrupted therapy with a single TNFi agent were similar for the first and second courses of treatment. In contrast, the costs for the second course of TNFi treatment in patients who switched to a second TNFi agent were significantly higher than those for the second course of treatment in patients who had interrupted therapy with a single TNFi agent. Differences in cost may have been the result, in part, of differences in disease activity, which required dose escalation to address this higher disease activity. The higher costs for second courses of medication may have been related to dose escalation during the second course of treatment, which has been previously reported . While the use of biologic agents is associated with significant costs, most analyses report that these agents fall within a currently accepted threshold of cost effectiveness [34, 35, 36, 37]. Prior studies have specifically focused on costs per agent rather than costs of the TNFi therapy class. These studies have generally demonstrated that costs for infliximab are higher than those for injectable agents [4, 5, 38, 39, 40]. We have previously published that dose escalation is more common with infliximab in subsequent courses, which is also associated with higher costs . Strengths of our study included rheumatologist-confirmed diagnosis of RA in contrast to the use of administrative data in many other studies, the wide geographic distribution of patients across the US, the collection of baseline and post-treatment disease severity information using the DAS28, and standardized medical records and administrative databases within the VA system across all participating sites. Veterans enrolled in VA care have access to TNFi therapy as needed. Limitations of the study included a predominance of men with RA of long-term duration reflecting the US veteran population, which may limit the generalizability of these findings to other populations. This study population of US Veterans is principally male and elderly in comparison with most RA populations that are predominantly female and of younger age. The demographic characteristics of the patients in this study may result in terminating and/or switching therapy more frequently because of comorbidities and concurrent medications. This bias may explain the lower rate of switching reported in other studies, which included populations that were younger and mostly female [5, 9, 11, 30]. The potential exists that patients may have received TNFi therapy outside the VA, which would not be captured by this analysis; however, in our experience, US veterans rarely seek TNFi therapy from other sources while receiving their care through the VA. The federally negotiated cost for TNFi therapy in the VA system may be less than costs in the community, which may limit comparisons with other systems. Our study did not identify the reasons for TNFi switching or interrupting TNFi therapy. Such factors could confound the observed results. Another limitation is our lack of evaluation of background drug-modifying antirheumatic drug therapy, which may have an impact on decisions regarding continuation, interruption, or switching of TNFi therapy. Because of potential confounding factors inherent to observational studies, more research is needed to understand reasons for switching TNFi therapy and the effects of switching on overall outcomes in RA. In summary, our data demonstrate that patients who received TNFi single therapy or interrupted therapy with a single TNFi agent presented with a lower level of disease activity than patients who switched TNFi therapy. The degree of improvement in disease severity was similar in all groups. Switching to a different TNFi agent was associated with higher drug costs when compared with remaining on the initial therapy. This research, article processing charges, and the open access charge for this study were funded by Immunex Corp., a fully owned subsidiary of Amgen Inc., and by VA HSR&D Grant SHP 08-172. The sponsor contributed to study design and analysis and interpretation of data, provided critical input into the manuscript, and made the decision to submit the article for publication. All named authors meet the International Committee of Medical Journal Editors (ICMJE) criteria for authorship for this manuscript, take responsibility for the integrity of the work as a whole, and have given final approval to the version to be published. Medical writing support in the preparation of this manuscript was provided by Edward Mancini, DPM, Jessica Ma, Ph.D., (Amgen Inc.), and Julia R. Gage, Ph.D. (on behalf of Amgen Inc.). G. W. Cannon and B. C. Sauer have received research grants from Amgen Inc. S. L. DuVall has received research grants from Amgen Inc., Anolinx LLC, AstraZeneca Pharmaceuticals LP, F. Hoffmann-La Roche Ltd, Genentech Inc., Merck and Co., Inc., Mylan Specialty LP, PAREXEL International Corporation, and Shire PLC. C. L. Haroldsen has nothing to disclose. L. Caplan was supported by VA grant CDA 07-221 at the time of this study. J. R. Curtis has received research funding from and acted as a consultant to Roche/Genentech, UCB, Janssen, CORRONA, Amgen Inc., Pfizer, Bristol-Myers-Squibb, Crescendo, and AbbVie. K. Michaud was supported by the Rheumatology Research Foundation Investigator Award. T. R. Mikuls has received research grants from Roche/Genentech and Biogen IDEC, Inc. A. Reimold has received research funding from UCB, Janssen, and AbbVie. D. H. Collier and D. J. Harrison are employees and shareholders of Amgen Inc. G. J. Joseph is a former employee of Amgen Inc. and a shareholder of Amgen Inc. and Pfizer. All procedures followed were in accordance with the ethical standards of the University of Utah Institutional Review Board, the VA Research Service, and the Scientific and Ethical Advisory Board of the VARA registry for analysis of VARA and VA administrative data and with the Helsinki Declaration of 1964, as revised in 2013. Informed consent was obtained from all patients for being included in the study. VA Informatics and Computing Infrastructure: Corporate Data Warehouse (CDW). 2009. http://www.hsrd.research.va.gov/for_researchers/vinci/cdw.cfm. Accessed 28 Oct 2013. VHA Data Portal Web Page: VHA DSS National Data Extracts. 2013. http://www.virec.research.va.gov/DSS-NDEs/NDEs.htm. Accessed 28 Oct 2013. VIRec Webpage: Pharmacy Benefits Management (PBM) Service Database. 2013. http://www.pbm.va.gov/. Accessed 28 Oct 2013.